Are you desperately trying to lose some weight and wondering how to go about it? You may not be able to hit the gym because of your tight work schedule or sheer laziness. The good thing is that you can try some herbs that would work wonder for you. These herbs help boost metabolism and digestion which helps in shedding the fat. Below are some of the herbs and spices for weight loss. Guggul: It is also known as Guggal, Devadhupa, and Guggulu sudha. The herb is a mixture of gum and resin extracted from Commiphora mukula, a tree native to India. It has been used in Ayurvedic medicines from ages. Guggul stimulates thyroid function which boosts the metabolic rate, and further helps in burning calories. You can easily buy guggul from any pharmacy or an Ayurveda store. Keep 1 gm or one-fourth teaspoon of guggul under your tongue and let it dissolve slowly. You can take this three-four times a day. Ginseng: Ginseng belongs to a species of slow-growing, perennial plant that has fleshy roots. Studies have found that ginseng can be used to treat stress and diabetes, lower cholesterol, and regulate blood sugar levels. Stress, unregulated blood sugar, and high cholesterol are some of the causes of disorders that lead to weight gain. Ginseng also helps increase your metabolism, and keeps your energy levels high throughout the day. You can buy ginseng online or from Ayurveda stores. You can drink ginseng tea twice a day to help deal with the causes of weight gain. Yerba mate: This herb is taken as a beverage. The traditional South American drink is produced from aged and dried yerba mate plant. Most energy drinks contain this herb as an ingredient. The herb contains components that help in lowering blood sugar and reducing the risk of diabetes mellitus. It also contains phytonutrients that help boost mood, keep energy levels high, suppress appetite and aid in weight loss. You can buy yerba mate online, and consume 10 g yerba mate in the form of tea. Gurmar: This herb is mostly found in India and Sri Lanka. The herb is a slow growing, perennial climber, and contains a compound called the gymnemic acid. The acid prevents sugar absorption in the intestine and increases insulin levels in the body. It also aid in weight loss. Gurmar leaves in powdered form are available online. You can take 400 mg of powered herb per day or 1-2 grams if you opt for dry leaves. Turmeric: The yellow colour spice found in our kitchen is quite effective when it comes to weight loss. The magical powder has got a component called Curcumin which helps increase body heat which in turn boost metabolism. Turmeric also helps in weight loss. Its therapeutic properties inhibit fat cell proliferation and promote adiponectin secretion, an anti-inflammatory agent secreted by fat cells. It also regulates sugar levels and prevents insulin resistance because of which excess fat is not retained in the body. People who are overweight or obese are prone to diabetes. Eating turmeric protects them from this condition. Mix one teaspoon turmeric powder in one cup fat-free milk and consume it once a day. Cinnamon: Cinnamon helps curb cravings and makes you feel full for long, thereby balancing blood sugar. It also aid in shedding weight. Basically, the longer the food stays in your stomach, the longer it takes for you to feel hungry again. This will help you eat less and create the necessary calorie deficit to lose weight. Just boil a cinnamon stick in water and add some honey before consuming it. Or you can increase your daily intake of the spice by adding it in food. Aloe vera: The stemless plant with fleshy leaves is revered for its medicinal properties. It contains antioxidants which detoxifies and cleans your body, and boosts metabolism and vitamins that are essential in proper functioning of the body. You can easily buy aloe vera extract online or from a pharmacy, Ayurveda store, or supermarket. You can also grow an aloe vera plant (not wild) for topical applications. You can take 1 or 2 teaspoon of aloe vera extract every day in your morning juice or smoothie. 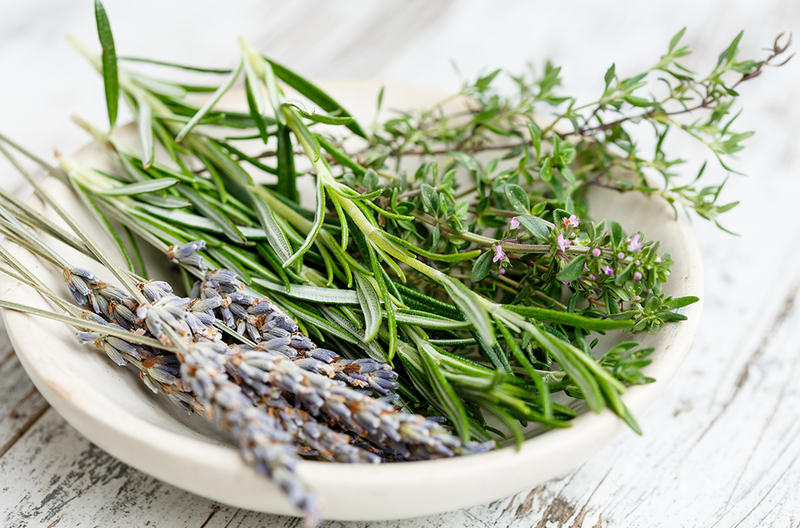 You should definitely try these herbs. But consult your doctor on the doses before proceeding.